After showing improvement on a weekly basis last year, she says the goals for 2019 are to “finish up front more often and hopefully win some races.” The goal is easily within stretch, as she showed potential as she picked up plenty of lessons throughout 2018. “The biggest thing I learned in the 2018 season was probably to not hold back or be scared of anything because that way, I’ll never be able to win a race if I’m always worried about something,” she said. 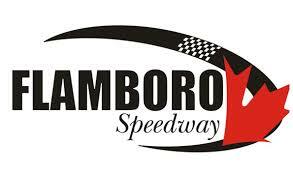 The improvement showed late in the season, as she scored a career-best finish of fifth at Sunset Speedway’s Velocity 250. Beyond hunting for more success, the second generation racer is also looking forward to getting to a new track this season, too. As she continues to strive for improvement behind the wheel, she doesn’t have to look far for advice, via long-time Late Model competitor and her father, Dario Capirchio. For others who are looking to get to their start in racing like her, she says the Ontario Pro Challenge Series is a great place to start via her own experience. “It’s a super fun car to drive,” she commented. “Also, don’t go into racing thinking you’re the best driver out there because the truth is you probably won’t be right from the beginning and you won’t get anywhere thinking like that. But you also can’t think you’re terrible and give up because it will take time to get better.